"Together, with faith, we can - connect, grow and serve!" St. Mark Lutheran Church is located at 4475 Henry Street, Muskegon, MI. 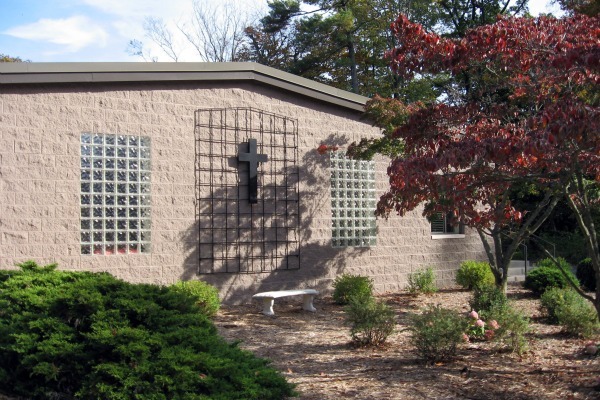 We are a member of the Michigan District of the Lutheran Church, Missouri Synod. to quickly access information you are seeking. Everyone is welcome to attend St. Mark! Services are recorded and available on this web site under the heading, "Sermons". Worship opportunities are Saturday at 5 pm, and Sunday at 9:30 am. Communion is offered the first and third weekends. A time of connection and fellowship is following the Sunday service in the Upper Room. Children pre-kindergarten through fifth grade meet at 9:30 am for Children's Worship. Confirmation class for sixth thru eighth grade is at 10:45 am. Adults meet for Bible Study at 10:45 am. We offer many opportunities for involvement and service. Please visit our various pages for current information about each ministry area. Be sure to check our calendar for other opportunities! Please call the church office at 231-798-2197 or email us if you have questions, comments or requests. Please use the "contact us" link for email.